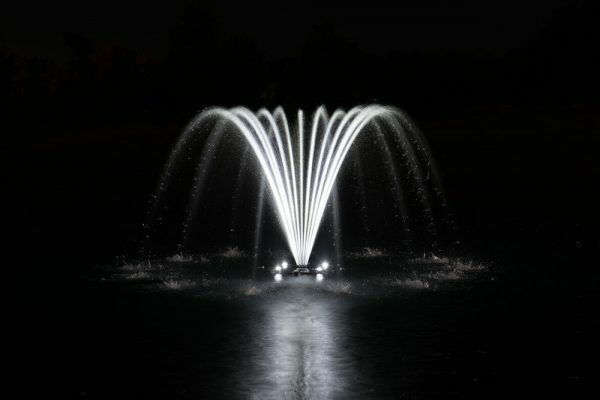 4-LED Light Set for Airmax EcoSeries Fountain with 100′ Cable. 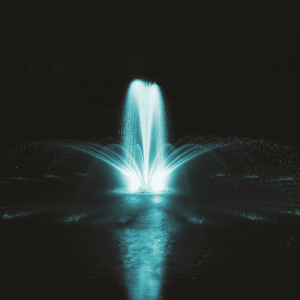 The Airmax® LED Light Sets offers unique nighttime displays for your pond. 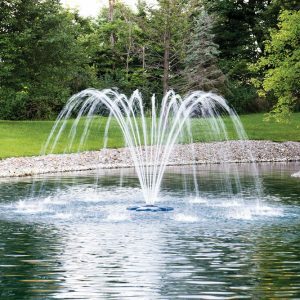 The energy efficient, high output 120 volt design uses less than 40 watts of power. 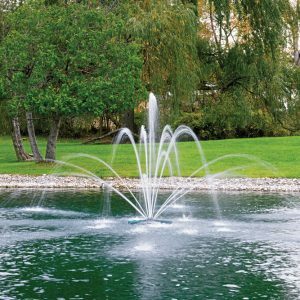 Fully sealed light housing ensures a maintenance-free operation. Lights easily clip onto the EcoSeries™ float making for a fast installation with no tools required. All light sets come standard with 100′ power cord and strain relief; (150′, 200′, 250′, 300′, 350′ and 400′ power cord lengths are available, call for details) . 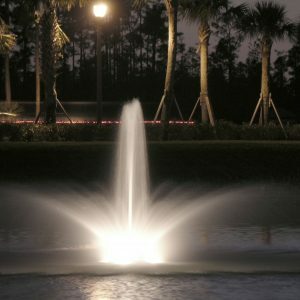 All light sets also include an underwater disconnect and stainless steel braiding between light fixtures and power leads to protect the power cord. 3-year warranty.